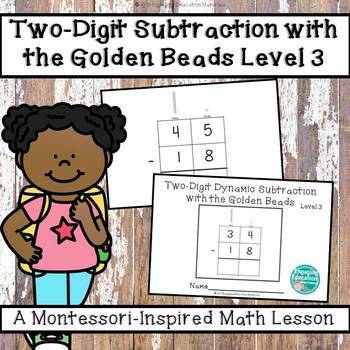 This third level introduces students to two-digit dynamic subtraction (with regrouping). Students build the top number (minuend) using the Montessori golden beads on their work mat. 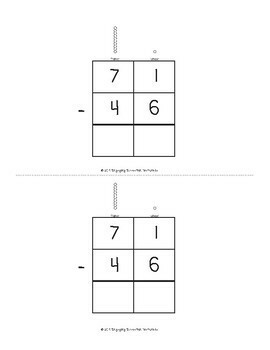 Students will then need to exchange one ten bar for ten ones in order to complete the subtraction process. 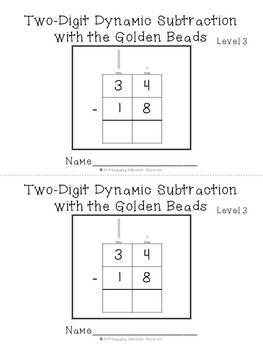 At this level, students only manipulate the golden beads on their work mat and record their final answers in their recording booklet. Each half-page booklet contains a cover page and 8 problem pages. 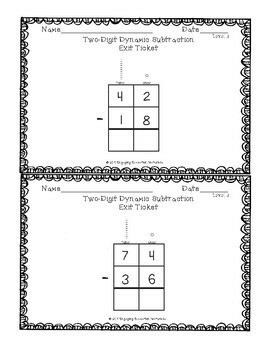 In addition, a lesson exit ticket is included!